Warning: Contains allergen. Children can choke on nuts. 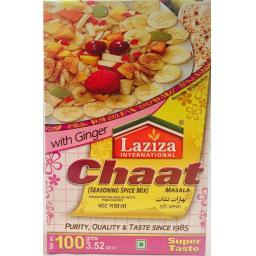 Easy Steps for Making Milk 1 Litre Egg One Cooking Oil/Ghee 4-5 teaspoons Sugar 1/2 to 1 Cup (100-200gms) (or as per your taste) Laziza Rasmalai Mix One Packet Easy Steps: 1 Put milk for boiling with sugar and two cups of water. 2 Beat the egg well. 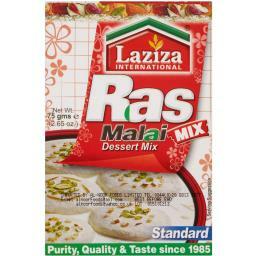 3 Mix 4-5 teaspoons of cooking oil in the contents of Laziza Rasmalai and mix thoroughly. Add about 5 tablespoons of beaten egg and knead well with the help of spoon to make soft and smooth dough. (During kneading if the dough remains dry & hard, further add about half (1/2) tablespoon of beaten egg. Similarly if the dough is too thin to make balls, leave it for 1-2 minutes.) 4 Make about 15 - 18 small oval or round shaped balls and put these balls immediately in boiling milk. Keep it at boil on full flame for 5 - 10 minutes till they become 3-4 time larger than the original size, dip & rotate the balls in full/high boiling milk with the help of flat spoon. (Mind it if the balls are not immediately put into boiling milk, they may become hard). 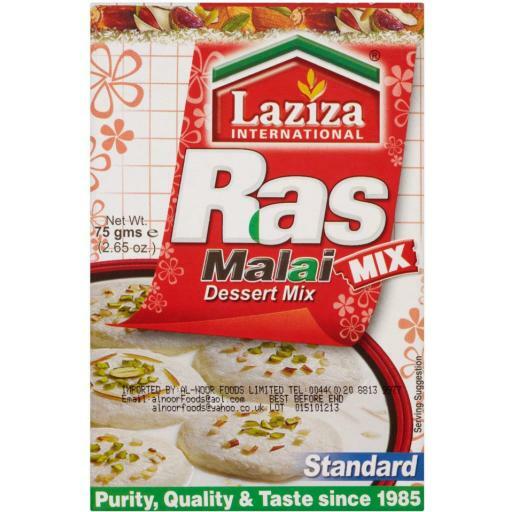 5 Refrigerate before enjoying delicious Rasmalai. Note: 1 If the dough becomes too sticky then further add one teaspoon of oil/ghee during kneading. 2 For easily making the balls grease your hands with oil/ghee. At Goldfayre, we do everything we can to make sure the information about the products we sell is always as accurate as possible. However, because products are regularly improved, the product information, ingredients, nutritional guides and dietary or allergy advice may occasionally change. As a result, we recommend that you always read the label carefully before using or consuming any products. Please do not solely rely on the information provided on our website hence Goldfayre is unable to accept liability for any inaccuracies or incorrect information contained on this site. This does not affect your statutory rights. This information is supplied for personal use only. It must not be reproduced in any way whatsoever without the prior consent of Goldfayre, nor without due acknowledgement.